I pulled up my calendar at work today and realized it is just 4 weeks from tonight that I leave for Australia. I go from knowing how incredible this journey has been so far, to connecting to how surreal this has been and once in a while I just sit in denial that this is not really me. I mean who does this? So tonight I go back to looking at some of the obstacles in the event. 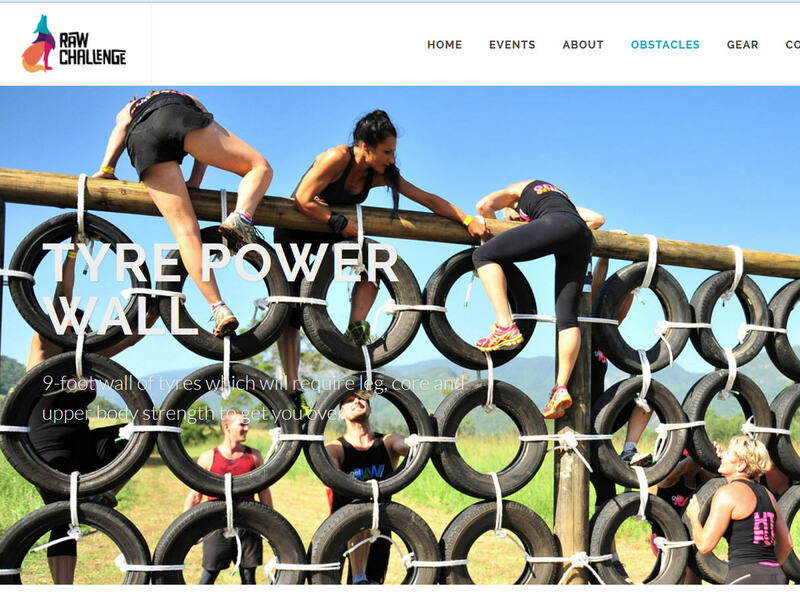 The Tyre Power Wall looks achievable, but I can so envision having hands or feet in certain positions and then someone coming along behind or down the other side and getting said hands or feet pinched in an excruciating position. I’ll exercise caution and consider this completed. The Foam Slide: Give me a Margarita and call it the lazy river. There are no style points, so unless I ricochet over the top and into the next obstacle, I have this one in the bag. The Trenches: crawling through mud and water on your back with a cage over the top. Guess I won’t wear my new white outfit knowing that there is now way to stay clean after this one. Oh, what am I thinking. It will be there fall season and no one wears white once fall starts. My eternal slave to fashion can be postponed (we all can recognize the sarcasm here). 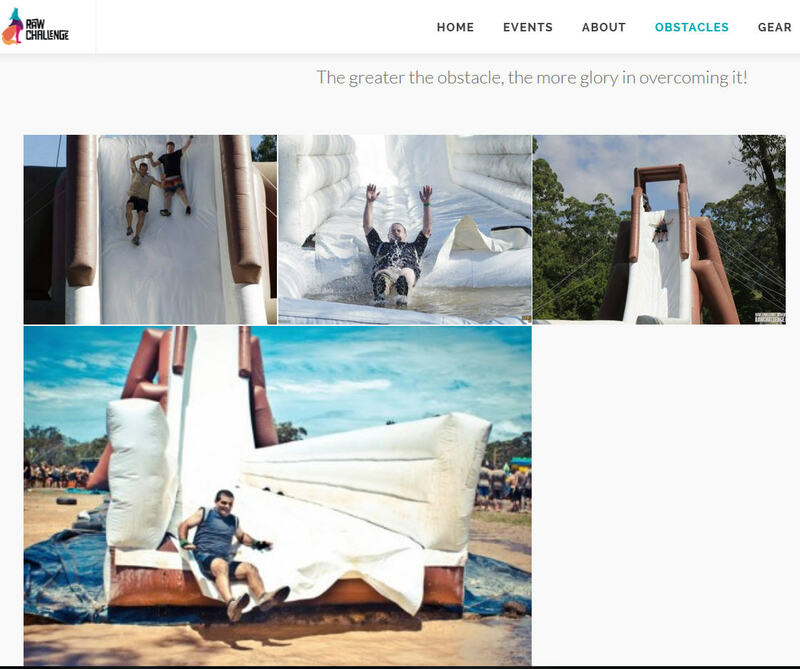 The Giant Slide: This just looks like a ton of fun. Can I do this one twice and skip one of the others? Looks like some people go down in tandem or multiples, so maybe Wilma and I can do together. I’m pretty sure there will be stories to go with many of these, but this one should include screaming and laughter. Wilma, I celebrated my good friend buying his first house today, so you can consider it more training for the drink after the race. I also got in over 3 miles and some triceps dips on the benches and partial pull ups. I saw Jane’s post and I did get my jump rope. 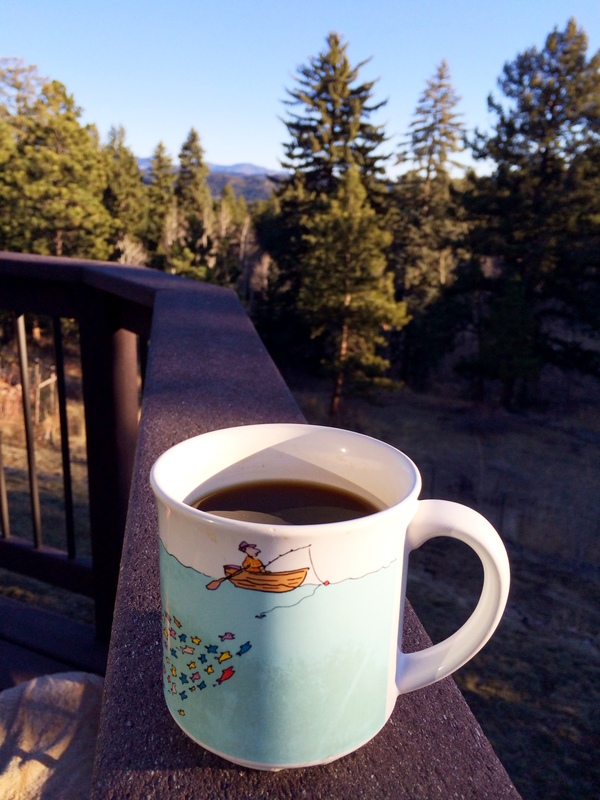 I went to grab a mug for my coffee on the deck this weekend and there in the front was a mug we had purchased in Barcelona twenty five years ago on our honeymoon. Wow, we must have used lots of mugs this week as that one is usually in the very back of the cupboard and doesn’t often make it to the front. Our cupboard is not full of expensive fine china. 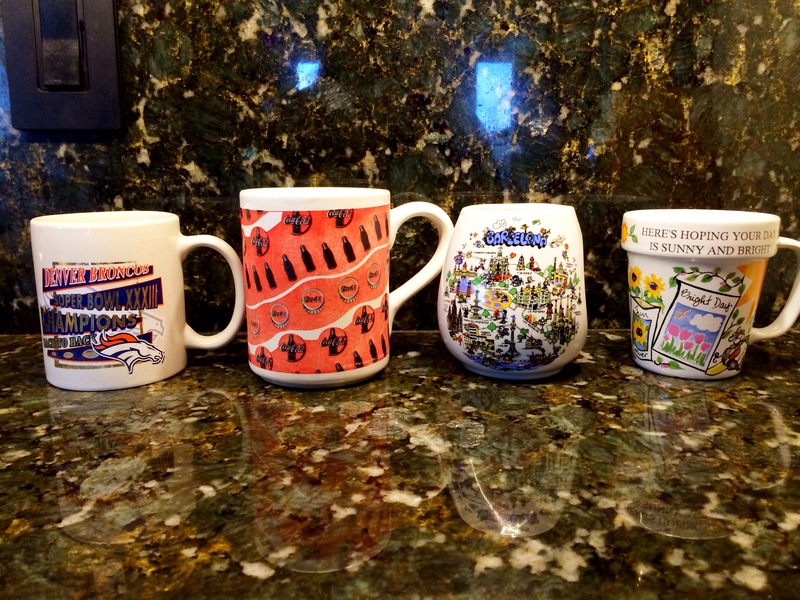 Instead as I looked at the mugs, I realized it is full of memories. 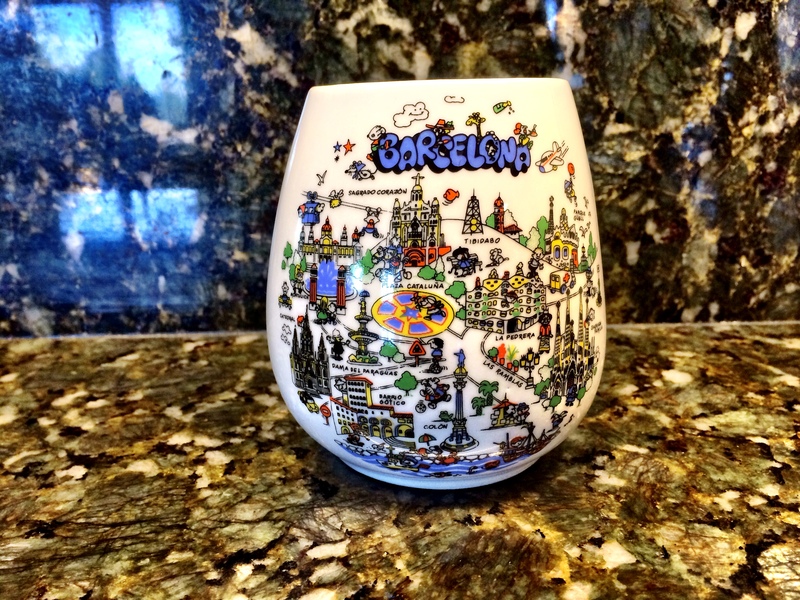 There is the Barcelona Mug from our honeymoon in Europe. The only coffee style that we purchased. All other drinking vessels were of the stein category. 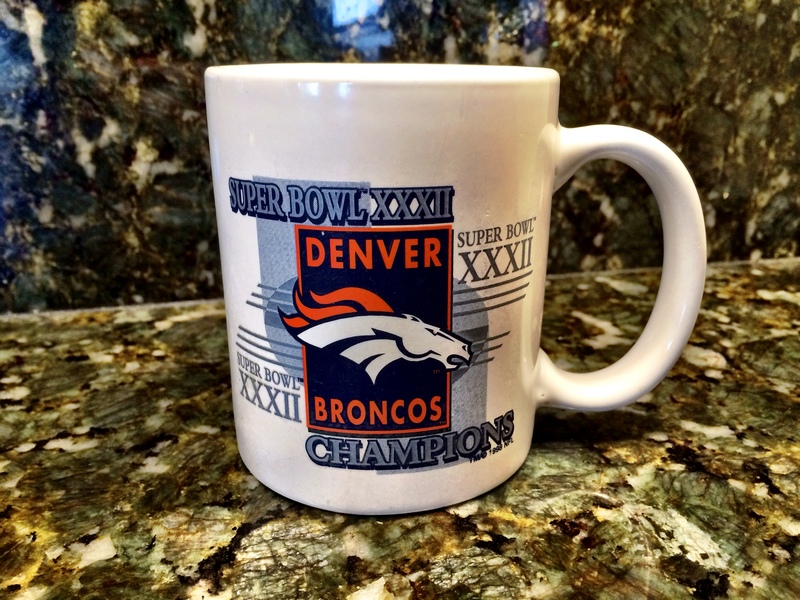 Then there are the Super Bowl mugs from the Bronco’s wins in 1997 and 1998 . I have a lovely mug that was given to me by Bam Bam one Mother’s day with a plant in it. 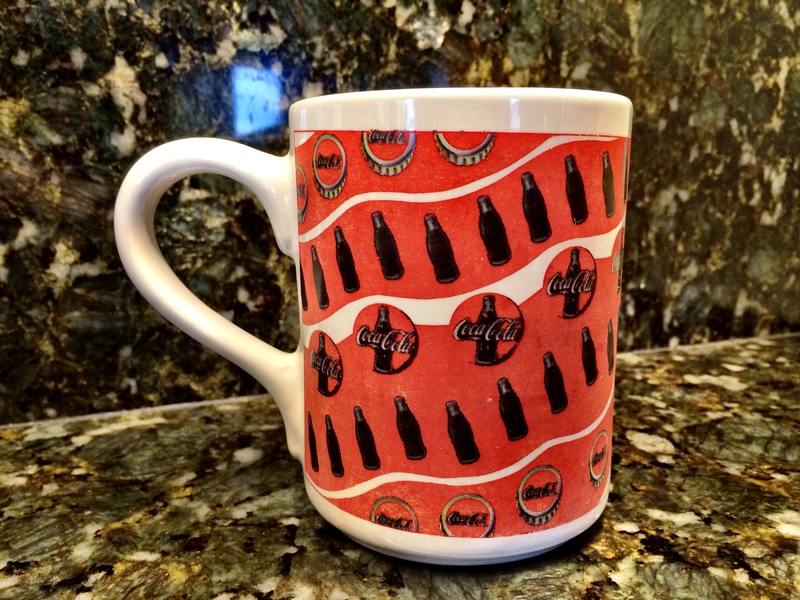 And there are the Coca Cola mugs that we found at a small Firehouse Museum in four different designs. I don’t recall why they were selling them, but it was a fun find. We purchased four and our friends we were camping with that weekend in the mountains nearby purchased a few others. 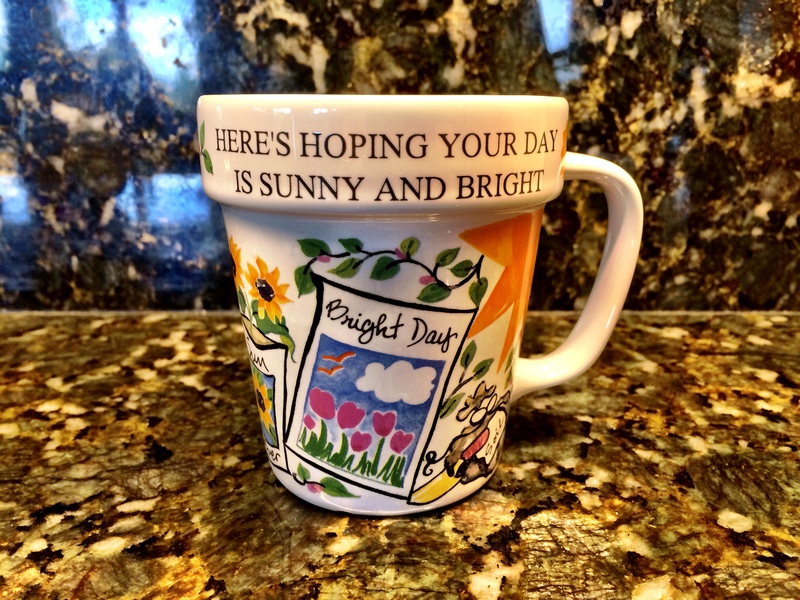 They are nice big mugs and a nice reminder of a fun time. Being selective of the one that goes out on the deck where it could possibly be knocked over by a curios puppy when I’m not looking and broken, I choose an old mug that we didn’t even purchase. I pick it up and think of Louis Canfield. It is his mug really. He was a patron at the restaurant that I worked at when I first moved out here. Very nice man who liked to sit at the bar, but did not drink. An avid fisherman and woodworker. One of us at the restaurant purchased the fishing mug for him so that he would have his own mug on his nearly daily visits. He made me a oak set of two end tables and a coffee table. He gifted them to me as he did many things to all of us. I still have one or two of the pieces. When the establishment shut it’s doors, I ended up with the mug so that if we ever saw Louis again, we could give it back. That was 1990 and I have never seen him again. It amazes me that I can remember his name each time I use the cup as my memory is sketchy at best. 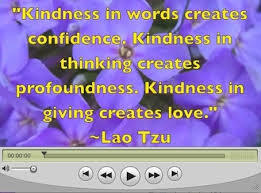 It is proof positive that kindness is a lasting memory. 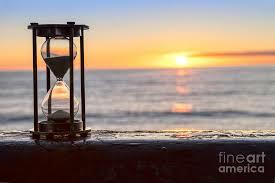 It make me wonder if there are any items out there that remind someone of me long after our acquaintance was lost. It is a good goal I think to try to be remembered fondly. Wilma, I lost my workout room when #1 son came home. I did pushups and triceps dips and walked 3.7 miles total today. Dang kids were on the playground, so I didn’t get the monkey bars in and I only got one set of the triceps dips in as there was a couple on one of the benches I use along the pathway. One of these days I going to use the monkey bars with the kids there to get their reaction and ask the couple on the bench to shimmy over and give me a little room to do my workout and see what they say as well. That might make for great blogging. Heading down to hang from the chin up bar a couple times. Dinner and Dead with a surprise visit. Today is the season finally of “The Walking Dead”. For those who are not familiar, it is a show about survival in the zombie apocalypse. I really had little interest in the show as I had seen the first episode then decided that I would rather read then see the gore of the show. 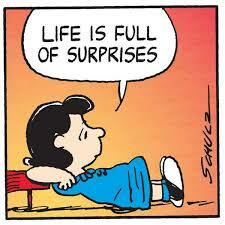 But sometimes something happens that surprises you. Well, my family got hooked and then they got our good friends hooked as well. So “Dinner and Dead” was started. You see, I can watch and make fun of just about anything if it involves good food and friends. So for the past few seasons, their family of four and our family of four have gotten together for amazing dinners and then sit down to watch/scrutinize/analyze the walking dead and usually stay to see the “Talking Dead” show afterward. The Talking Dead is possibly my favorite segment as they end of verbalizing much of our conversations during the show. Our friends then started making commemorative cakes for the mid-season and end of season finales. 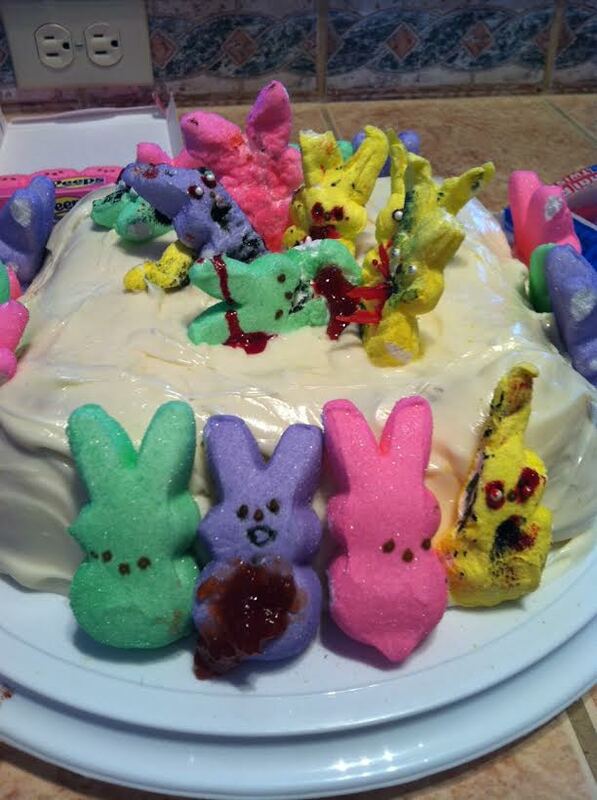 Below was the Easter marshmallow zombie bunny cake. Then they did a homage to what I was told was a season one episode with a gal dragging her half body along. (I still haven’t seen the first few seasons). 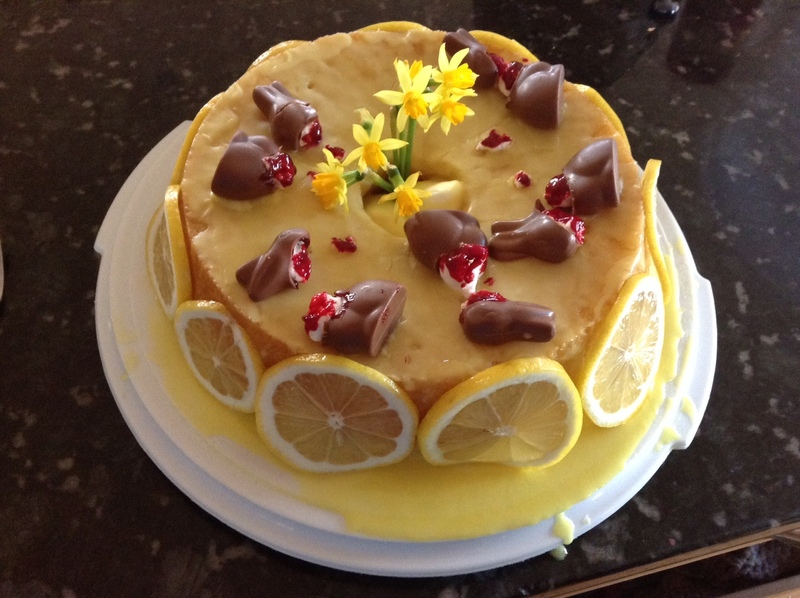 Next time it was the “Look at the flowers Lizzy” cake with some of the bunnies she had cut up. 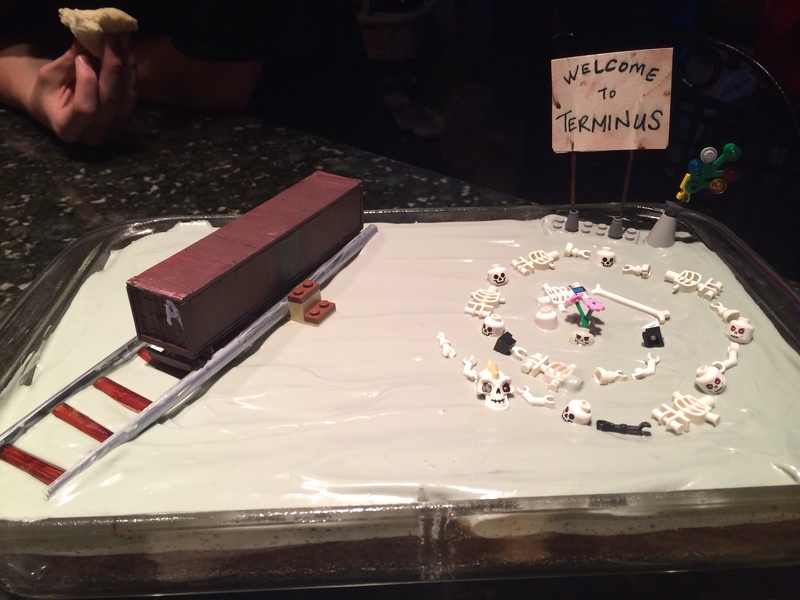 Then last time we had the “Terminus” cake complete with a box car and a circle of bones. For the past several months it has only been the seven of us since #1 son is away at welding school. Then to my surprise, he showed up today as he has a two week break from school due to changing programs. So good to see him! Turns out he hasn’t been watching as it isn’t as enjoyable without the Dinner and Dead for him either. 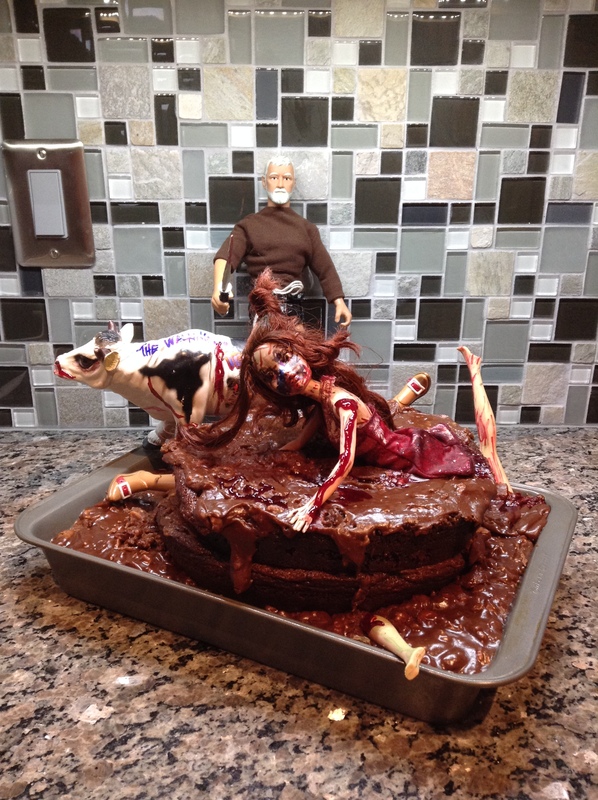 Our friends have been out of town, so there will be no commemorative cake for tonight’s episode. I did however make a home made lemon meringue pie for dessert to celebrate first born being home. We are also having brisket, seasoned baked potato wedges, beans, home made rolls and salad. 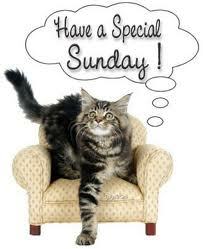 It’s really the meal and friends that make it special every Sunday. Wilma, I did get up and do a set of Jane’s exercises before running out of time. I also went for my Sunday hike. Last night I was feeling guilty about taking the day off so I did some pull-up attempts. I can’t still do them all the way, but am making if farther. I cranked on my shoulder a little too much as it seems that I can go to a certain point without pain, but when I get closer to getting my chin up there, it is too much for the shoulder. I’ve learned my lesson and will continue the other exercises to strengthen it and when attempting the pull-ups, will only go half way. I also changed the order of the exercises Jane has us doing as I seriously can’t have the last ones being on the floor where I can just roll over and rest. 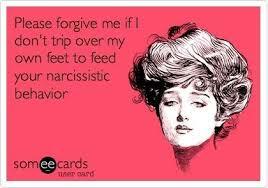 And by rest, I mean go back to sleep on the carpet. I awoke this morning at 4 am and texted a bit with Wilma before going back to bed. My early mornings are her late nights, so it is often the best time as neither of us are in the middle of our day or activity. When I did roll out of bed a few hours later, I took the dogs out and discovered it was one of those gorgeous full spring-time days. 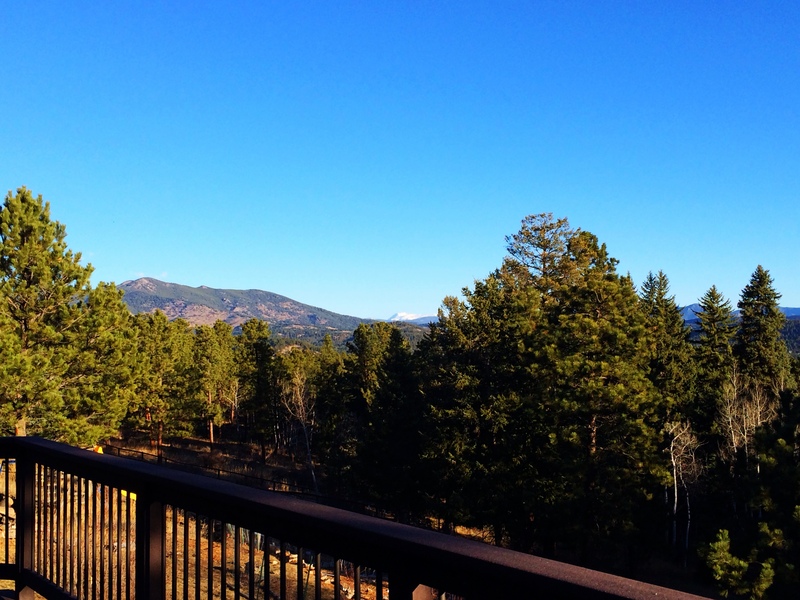 I made some coffee and put on a jacket and sat out on the deck to welcome the day. The sun was just making it’s way to my spot on the deck, and birds were calling in all directions. 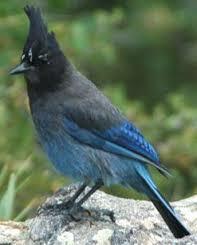 The trill, the chirp, the call, the singing of blessings were all around as I could hear the Stellar Jay to my left and the Red Wing Blackbirds down by the pond that is nearby. 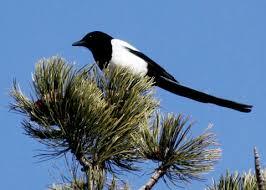 The Magpies were chasing each other and doing their chippy calls. 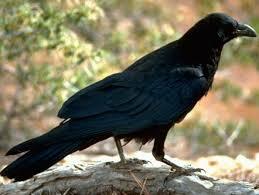 There was the caws of the crows or ravens that were chasing a larger bird from the tree that probably held a nest. I keep google-ing the differences between the ravens and crows from time to time but I never seem to recall for the next time so that I can correctly differentiate. 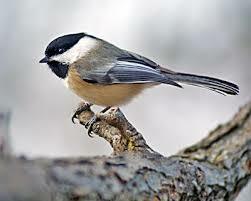 The Chickadee’s chirped and scooted in a branch in the tree nearby and the beautiful bluebird perched on the wire fence surrounding Barney’s lower fruit garden. I had already heard the Canadian Geese honk as they flew over and down near the creek was something that sounded more like something out of a tropical jungle instead of a coniferous mountain zone. 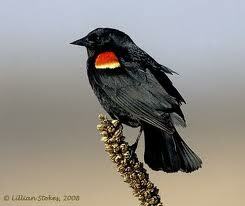 I could also hear the tap, tap, stutter-tap of a woodpecker or flicker on a tree or neighbors house nearby. We don’t have any buds showing on the trees yet at our elevation but they are coming out in Denver, so we aren’t too far behind. A spring morning to be sure and such a great relaxing morning at that. Yes Wilma, the relaxing morning means I did not work out this AM. 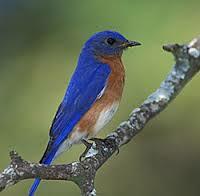 The cacophonous serenade of my feathered friends was as good for my body today as any workout might have been. I will be back at it tomorrow. Tonight I went with the gals to the play “The Archbishop’s Ceiling” at our regional theater. It is a Arthur Miller play and was possibly a little to cerebral for me after a long week at work. I almost caught myself closing my eyes to just listen for a bit. Yeah, last time I did that, I slept through the play. I held it together and enjoyed it possibly more for being with my friends than the actual play content. Although I thought most of the acting was excellent. 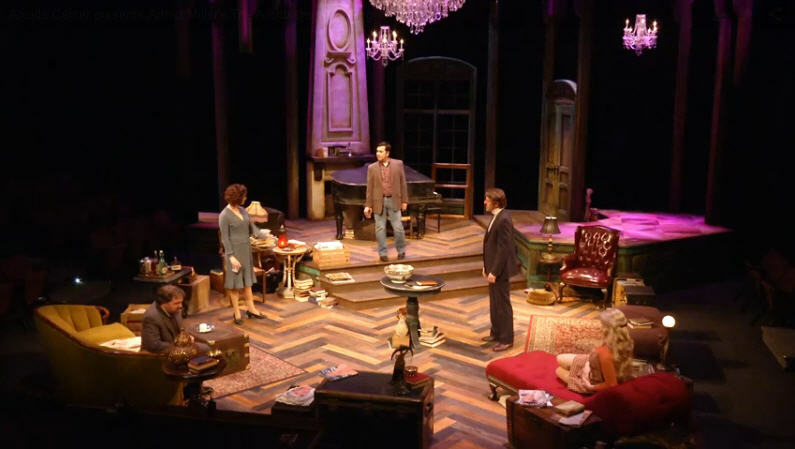 I attended the play with a friend my age and two friends that are or near thirty years my senior. They are the kind of gals I hope to be in thirty years as they are hilariously funny, have tons of stories and have a great love of God and life. 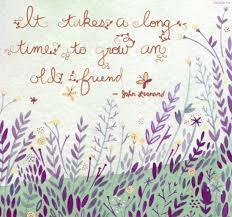 I have come to realize recently that I am at a great age for which to have friends of all ages. I have a few in their twenties that I can still relate to on many aspects, some in their thirties that I feel that isn’t that far removed some days, and anyone within ten years give or take is considered to be my age. The gals on the upper end are equally relate able and so I have to consider myself to be in luck to be on par with being just about anyone’s friend these days. Anyone with a kind soul, a quick laugh and a story to tell that is. 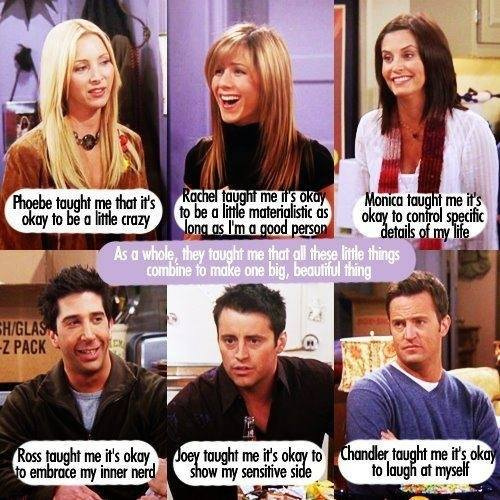 Much can be learned from a variety of friends. Today Wilma texted me first thing to do multiple sets of all the normal repetitions we had been doing and then to do them a couple more times as in multiple sets. I thought she was just taking out a reported bad mood on me. Sounds to me like the Flinstone family (Jane is Wilma’s step daughter) is in cahoots to make me suffer. Getting to bed at this late hour, I’m not holding out much hope that I will awake in 5 hours to pull this off. I’ll give it a go when I get home tomorrow. Wilma, I did do some sets this morning and tomorrow I will just DO IT. Not only did I not get up at O’Dark Thirty to jog, I missed the alarm as well and only had time to shower, grab coffee and go. Then today it snowed. My running partner (I know I am using the word running very loosely) as seen in the photo above was ready but I was not ready to risk it. I mean what would happen if I had a debilitating injury due to careless running at this point? 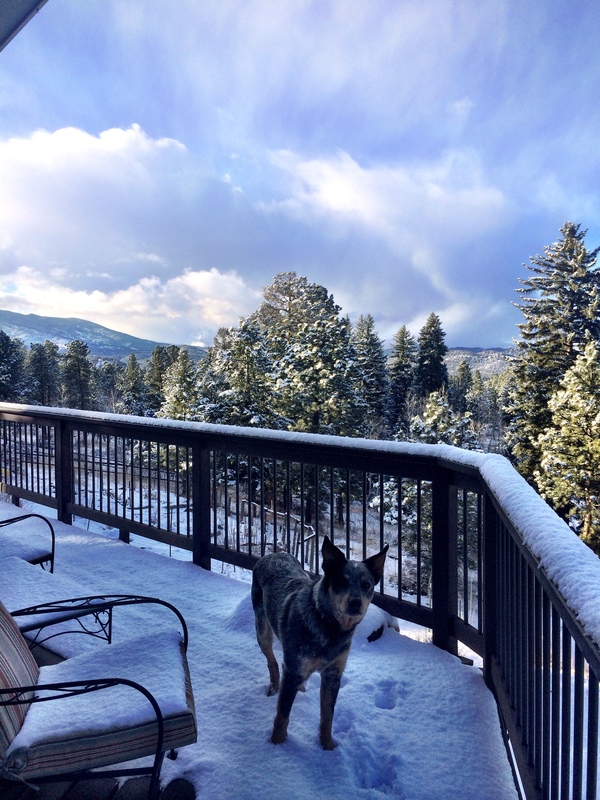 The photo is also to prove the snow for those Aussies that think I may be fibbing to get out of said workouts. One of the benefits of this adventure is the connecting with folks to let them know what I am up to. 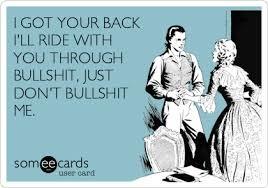 See, it is the the ones you don’t hear from and when you do are still able to give you a ration of crap like that when you realize time has gone by but they still know you well. Wilma, I will try to get more into the workout tomorrow. I did do some random squats, planks and pushups throughout the day and a few weights tonight. I didn’t even walk at lunch due to the snow coming down pretty hard at that time. Tomorrow evening I am going to a regional play at the theater so I’ll try hard to get up in time to get some morning workout done. For a beginner (or lapsed) runner, the prospect of running 5k for fun or fitness can be compared with the idea of conquering Everest…insurmountable! But, the beauty of running is that anyone can learn to do it efficiently, comfortably and well. As with most things fitness, the key to success is consistency. So, if you can create just 20-30 minutes run-time three times a week, you could be running 5k in as little as 8 weeks. Simple, right? Walking for 3-5 minutes to cool down after each run, and stretching as soon as you can post-exercise will alleviate the risk of injury and muscle tightness/ soreness. Oh Jane! An 8 week program to run a 5K? 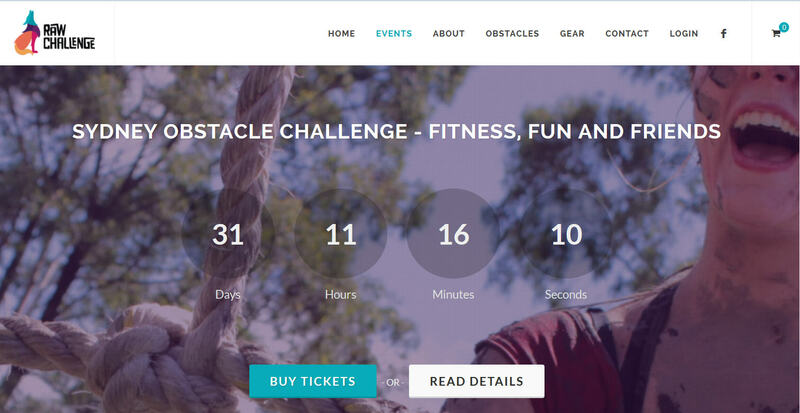 At the time of me typing this, the RAW Challenge site has the count down at 38 days, 12 hours, 22 minutes and 54 seconds. To my calculation that prescribed 8 week/3 days a week routine has shrunk to 8 sections of around 4 days each. Especially since I will be on a plane for a day and a half of this. 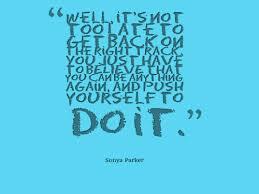 I am to run/jog every 3 of 4 days for the next month? 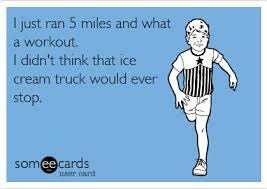 I haven’t done that since running track in high school and even then I might have opted to not run every day. I hope you are channeling some divine intervention as this is going to take something miraculous to wrap my head around. 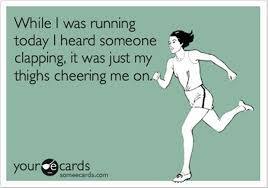 For grins and giggles (total sarcasm here) I decided to start out this evening and do a start of the first run a minute and walk for 90 seconds just to see how it would go. I hit the trail in the open space park behind our home jogging downhill and then walking uphill for the rest time and then jogging downhill once again. I found that I wasn’t going all that much farther each downhill than the time before. After a couple close calls of possibly tripping on uneven terrain, I decided to call it quits. Maybe going trail running with bifocal glasses on was my first mistake! I nearly killed myself. I did the trail running honestly because I thought there would be less people to see me than if I ran on our neighborhood road. It’s not that I am vain, but I’m not ready to be the lone person that people can pick out as the chick who obviously hasn’t run in an athletic way for years and years and years. I opted after a couple jog/rest intervals for hiking up to the top of the hill and then down the sledding hill that people come to when it snows and then back up through the park to the house. I also got a walk in at lunch today and I forgot to say that I have been doing some of the triceps workouts on some of the park benches that I pass. I’m not doing lots, but tend to do about 10 at a time and it isn’t hurting the shoulder too badly. We shall see if I can sleep better tonight and maybe, just maybe I can get up while it is dark and jog around the circle before others can see me out there. Wilma, I thought you were sending me the link to apply for the visa for my stay? 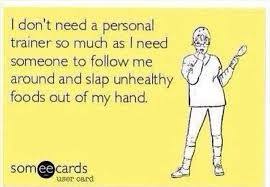 I hope you are feeling better after that crappy sickness last week. Thank you for getting my ticket to the RAW Challenge – I think. Today (yesterday really since it is past midnight) was one of those days with not enough hours. As I am oft to do, I was awake in the middle of the night Sunday night and thinking of someone and so penned a note to them while the thoughts were fresh in my mind. 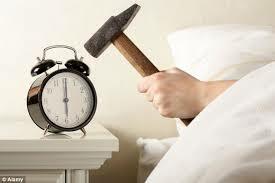 The problem with that is .. by the time I’m done and can go back to sleep, I crash pretty hard until the alarm goes off. 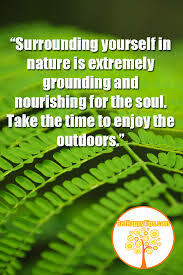 I then don’t have enough time to work out, meditate or do anything beyond take a shower and get ready for work as generally I awake much earlier than the alarm and do those things and the alarm is only the final warning system that if it has reached the point where that goes off, it is mass critical and time to go. I got to work on time and go on my now almost daily walk at lunch. I stop by the park where I am thinking I will try the monkey bars again, but there is a family there and it feels odd to be there taking over the monkey bars and having them watch as I possibly struggle mightily. I pass on the task today. I work late as my boss is out of town and there was more to do. I get home and make dinner and sit and watch a show we missed the night before with the family and Oh Look… time for bed and nothing is written for the daily. 2am. I’m up once more, so here is your quick note. Wilma has posted comments that she purchased my ticket for the RAW Challenge mud race. And then posts that she clearly wasn’t aware of the implications of signing up for the race. Amen to that sister. Hopefully tomorrow/today/whatever, holds a bit more time so that I can communicate better. I see mud in my future on this one. I know I have been working on the monkey bars and improving every few days, but all it is going to take to slip right off of these rings is someone in front of me with wet or muddy hands. The chances of me being first in line is nil. 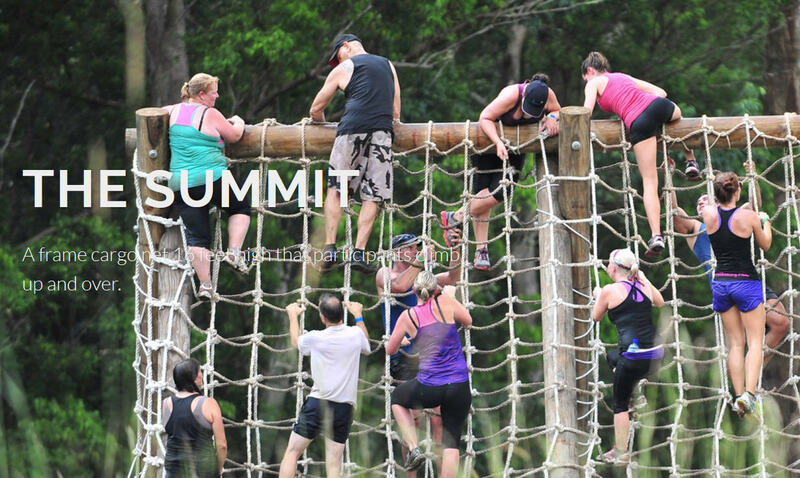 In the climbing category is “The Summit” :A frame cargo net 16 feet high that participants climb up and over. The slight flex in the net means your using lower body, core and upper body strength to get through this one. What is funny to me about this one is that they have a bar graph of how much strength, agility, teamwork and courage it takes and it has 60% of all categories except teamwork which it states requires 80%. I’m sorry, but I don’t see where the teamwork comes in on this one. And you probably can’t see it in the small photo I put in, but that top pole that everyone has to go over to traverse down the other side is grossing me out looking at it as I imagine all the crotch sweat that has been deposited there by the time I go across. Ew! Moving on. They didn’t have photo of the Pythagoras and after the graph of The Summit, I’m not sure I believe that this one is only at 40% or less on all categories. Walls that have to be climbed that lean into you so that you have to leap and pull up to go over sound like I need to team up with a local Firemen’s team for a leg up to get me over. I may have to sell the photos that we get on this one. 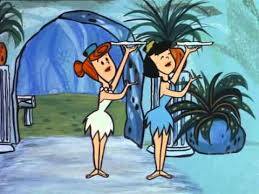 Wilma, I got up and did the weight bar exercises and planks and the Fitbit has me at just under 4 miles for the day. 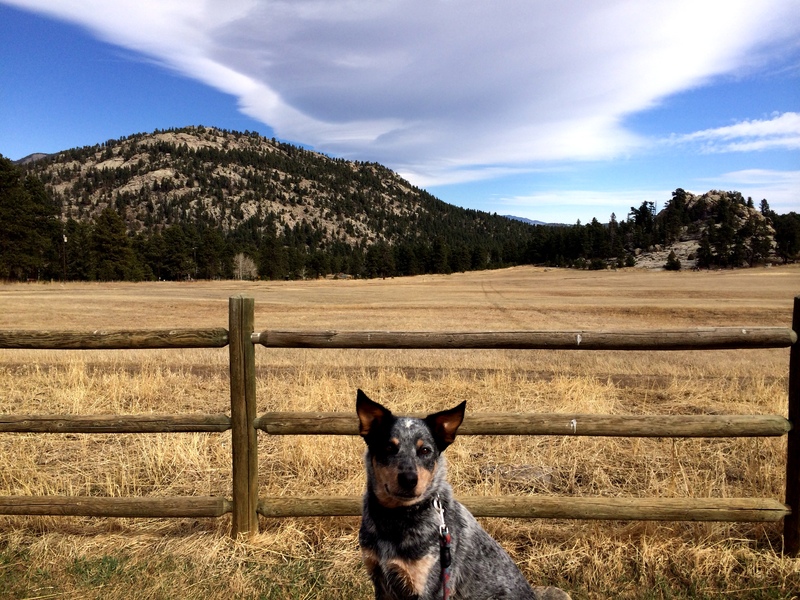 Below is one of my hiking partners.